8. The artifacts also appear when exporting as EPS. 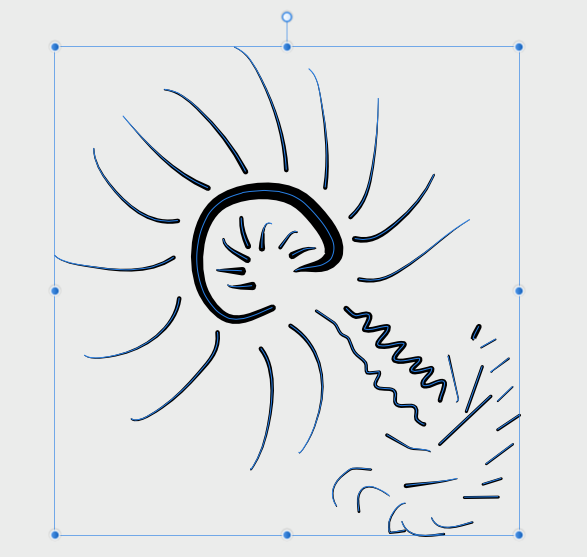 Assigning a brush-stroke shape with constant width removes the problem but looks ugly. 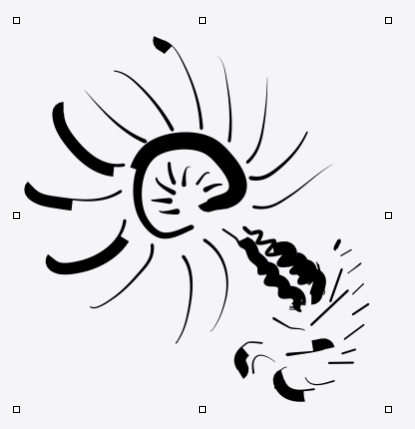 Interestingly, every brush-shape preset produces different but reproducible artifacts. Does anybody else had the problem? I forgot to mention, that the export SVGs also look corrupted in FireFox. I'm using v1.3.5. The update-notes mentioned some "optimizations in the vector-import". It would be interesting to test an earlier version. Are they still available for download? If you are using the Mac App Store version (1.3.5), i advise you to try the latest Beta (1.3.5.14). There was various improvements since 1.3.5 that may have fixed the issue. thanks for your reply. I checked out the beta but it doesn't seem to make a different. 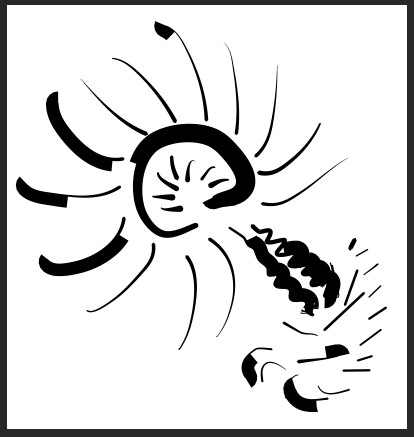 However, while trying to clean up the file so I can sent it to you, I could narrow the problem quite a bit: it does only occur on large documents (mine is 1000mm x 1000mm) and only if the sketch is not positioned in the top left corner. Please refer to the attached file: there are two copies of the same groups in there the on in the bottom right has the line-weight problems which should be easily reproducible. The top left works okay, until you drag it to the far bottom right. Then the export-problems will start.